Tuesday and its back at work. Second session with the personal trainer, Belinda Van de Venn, today. Warmed up with 15 minutes on the bicycle at resistance level 2. Can now get the pedals around ok. Kept the cadence at around 70rpm and managed to cover about 5.5kms. My knee hurts a bit when I do this. Spent 45 minutes doing some really basic exercises aimed at getting some movement in my knee. Leg is very swollen and Belinda is a bit worried about doing too much. Can’t even see my kneecap. Skin very inflamed. So this is gym rehabilitation. I hate gyms and have avoided them like the plague – noisy, full of poseurs and strange equipment. I think gyms are set up to relieve people of money. I feel very out of my comfort zone there, but I have to do this if I’m going to get better and I think I’m going to see the inside of this gym a lot over the next 18 months. Back in the ocean at Manly. Easter Monday, a public holiday but the rehab programme goes on. Started the day with a slow swim from Manly over to Shelly Beach. Only about 1.4km but this is my first swim in the open ocean since I hurt myself so it was significant for me. Took me about 40 minutes to cover the distance. Shoulders hurting. In the afternoon walked over to Little Manly Beach with Rick and Lynda. They were doing a long walk around North Head with Denise and others from the BBC. This was too much for me at this stage of recovery. I walked them over to the Little Manly carpark and then came back alone along the beach. Tried to push it along at a moderate pace. Covered the 2.6km in about 40 minutes which wasn’t too bad. I was pretty tired at the end and my leg was aching but no harm done I don’t think. Back in the ocean at Manly. Pleased with that. Easter Sunday overcast. Decided not to go to Balmoral. Got the day underway by walking down to Manly Surf Club and back – about 2.6km very slowly. Swim at Manly pool about 20mins for 1km. 10 laps of freestyle then ten with flippers on, mostly on my back. Shoulders very sore as well as the muscle in my right forearm. It’s been damaged by the wheelchair. Late in the afternoon had my second go on the bike. Did 8.1km in half an hour and never left my front verandah. Very light resistance and am terrified getting on and off that I’m going to tip the bike over. I would be in all sorts of bother as there is no one here to help me. Chain was on the small ring at the front and third ring at the back. Not much pressure but at least I can turn the pedals. Hurts a bit but bearable. Got the cadence up to 68rpm. Not that fast but ok. Bolto wants me to get it to 80rpm. 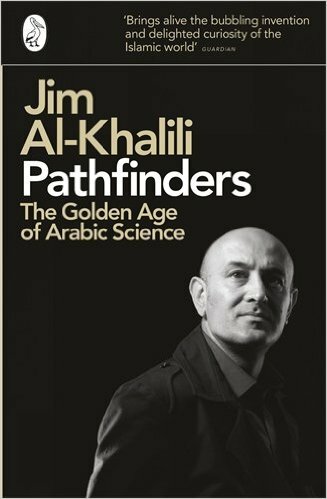 Had a quiet afternoon after I finished on the bike and started reading Pathfinders – the Golden Age of Arabic Science by Jim Al-Khalili. This covers the contribution of Islamic scholars to scientific research in the 700 years from about the 8th to the 15th centuries. Fabulous read. Recommended to me by Mike Kirkman who thought I might enjoy it after I finished reading the Koran. Shall lure it back to cancel half a Line, Nor all thy Tears wash out a Word of it. Damm, I wish I’d written that. It should be the motto of all people who write a blog. But this old Persian dude was much more than a poet and astronomer. He was also a mathematician, philosopher, and all round scientific pointy head, possibly the greatest scientist of all time. He may actually be smarter than Barry Feyder and Tony Smuts. Maybe not, let’s not get carried away. Funny book to read on Easter Sunday, I guess, but I’m nothing, if not, ecumenical. Easter Saturday dawned very overcast and rainy. Surf was booming at Manly after an overnight storm. Decided I would go to Balmoral again. Now that I can drive feel a bit more independent again. Ocean was very rough even in the harbour and I had a bit of trouble getting in, needing help again. Enjoyed the swim and while still vulnerable, felt a bit more confident. 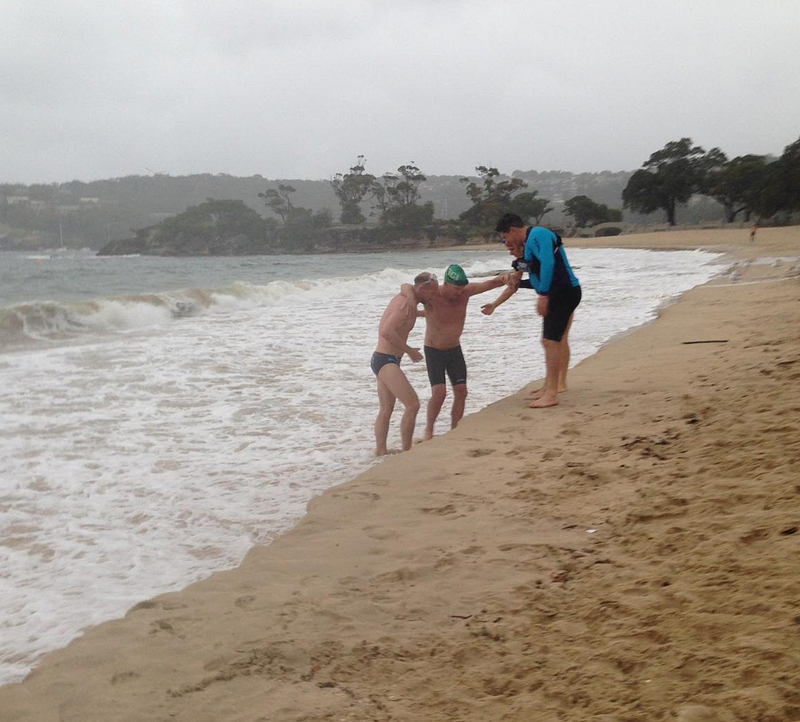 It was Terry Carroll’s normal 1km Saturday swim, an easy distance although my shoulders were very sore. Unsurprisingly, I came last and when getting out was confronted by a high bank that had formed due to erosion from the storm surge. There was no way I could climb it but luckily some helping hands came to my rescue and helped me up. Too tired to do anything else today. Leg very sore and swollen.Lonely day at home by myself. I find Easter very hard as, like Christmas, I think it is a family time. Being on my own makes this time of life very difficult. Good Friday 2015. Got up early and drove my car for the first time since January. Drove down to the BBC for my first swim in the ocean. Shoulders aching but not bitingly so. Had to use crutches to get across the sand which was hard to walk on. Mike Munro helped me in. It was an 800m race. I wasn’t racing. Went off with a big bunch leaving my crutches stuck in the sand. It was good to be part of it again but I was very nervous that someone would kick me in the leg or that I would fall over getting in or out. Needed help to stand up at the end and get across the finish line. I survived. Came home and did half an hour on the bike. Managed to get on and off without hurting myself. It’s a terrifying experience trying to get on a stationary bike when you are injured and by yourself. I was sure it would tip over. Not much pressure on the pedals – chain was on the small ring at the front and on one of the fairly big rings at the back. Still I managed to keep pedalling for half an hour. I then walked to Fairy Bower in the rain. It pelted down. Big storm. Sheltered at Manly Surf Club on the way back and had a spell. No incidents, so it’s been a big Good Friday of exercise. Rick and Lynda arrive this evening from Utah. 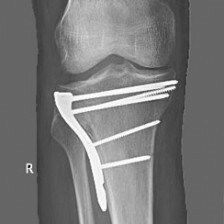 I HAD SURGERY ON FEBRUARY 12 AND DIDN’T DRIVE A CAR AGAIN UNTIL APRIL 3 – THAT’S 7 WEEKS POST-SURGERY AND 1 WEEK AFTER WEIGHT BEARING AND WALKING AGAIN. I WOULDN’T RECOMMEND ANYONE DRIVE SOONER THAN THAT. It’s Thursday April 2 so I would normally be having a nice Autumnal swim at Balmoral on a day like this My leg was too sore to do anything today. It’s red and swollen. Struggled in to work. The carer came today – first time this week. We worked together and got the house clean as my Utah friends Rick and Lynda Ayish are about arrive from the USA. Probably won’t need carer again as I can get around now and keep the house tidy. Went to work. In a fair bit of pain all day. On the way home got the cab driver to drop me down at Manly Surf Club instead of at my front door and walked all the way home to my apartment. First time I’ve done this with no crutches. Wasn’t too bad but I could only walk very slowly and I have a limp.